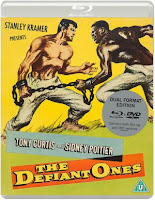 Eureka Entertainment to release THE DEFIANT ONES, Stanley Kramer’s socially-aware crime drama, starring Tony Curtis and Sidney Poitier, in a Dual Format Edition on 11 June 2018. Nominated for nine Academy Awards including Best Picture, Stanley Kramer’s The Defiant Ones broke new ground by delivering its message of racial tolerance through a fast-moving blend of action and suspense. 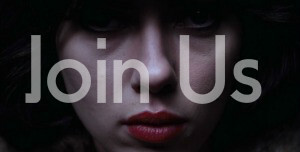 It remains a raw, powerful film that is as exciting as it is moving, real and literate. 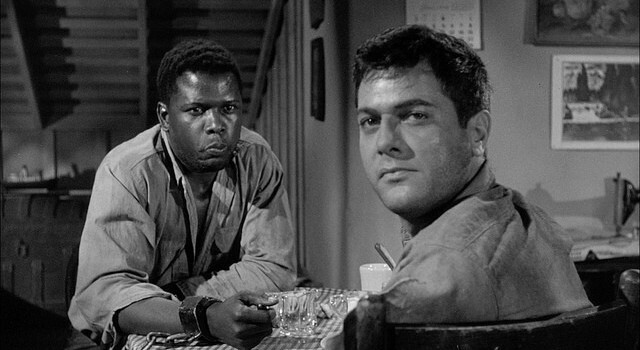 John “Joker” Jackson (Tony Curtis; The Vikings, Some Like It Hot) and Noah Cullen (Sidney Poitier; Guess Who’s Coming to Dinner, In the Heat of the Night) are two convicts on the run. Escaping from a Southern work gang, the two men are bound together by an unbreakable iron chain and separated by an unbridled hatred towards each other. Relentlessly pursued by a bloodthirsty posse, they must put aside their differences if they are going to survive. The Defiant Ones will be released on Dual Format from 11th June 2018.